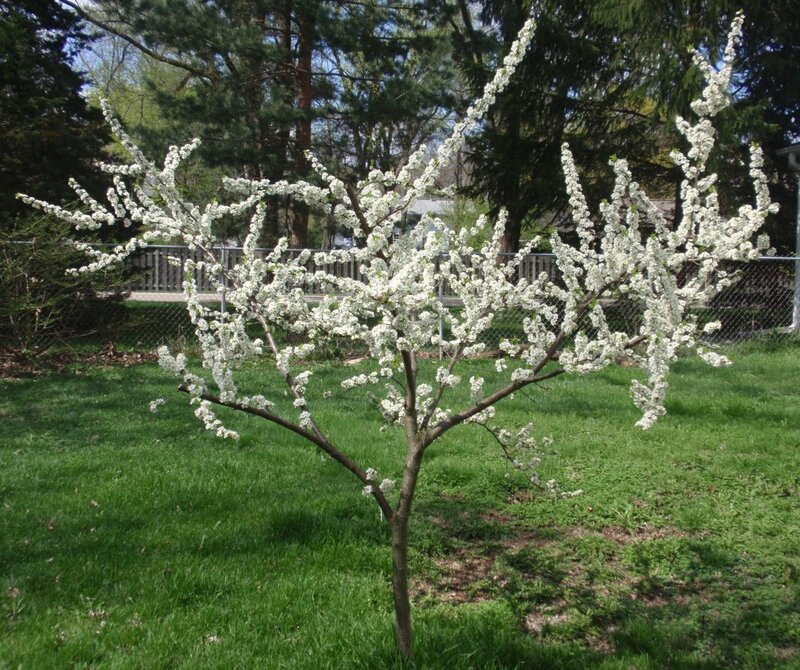 The sweet scent of the flowers on this oka cherry plum tree is attractive to honey bees. Spring has sprung early this year on the homestead. The pictures in this post were taken two weeks ago. After a mild winter, I am happy to report that both of my hives survived and are doing well. 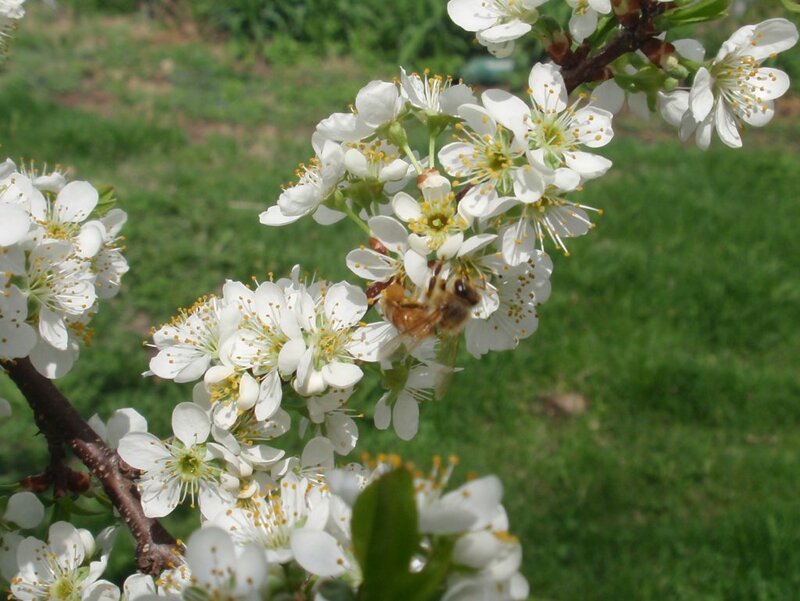 One of the things I enjoy about keeping honey bees is watching the bees work my fruit trees. 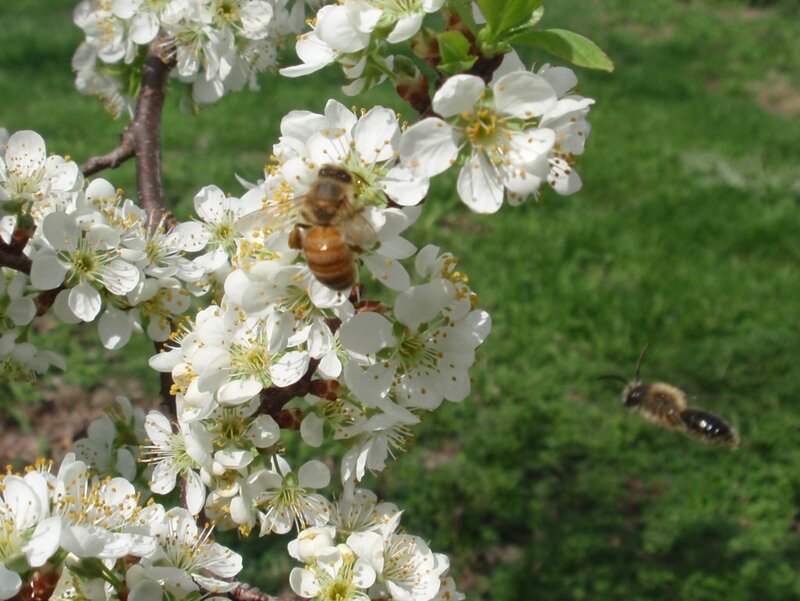 The bees are very peaceful as they go about their business of gathering nectar and pollen. While I am observing the bees, I try to snap a few photos. The challenge is focusing in on the little creatures. The bees are small and they don’t stand still. 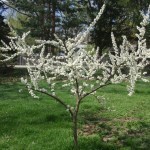 I was happy to capture the following photos two Sundays ago as the bees worked my oka cherry plum tree. 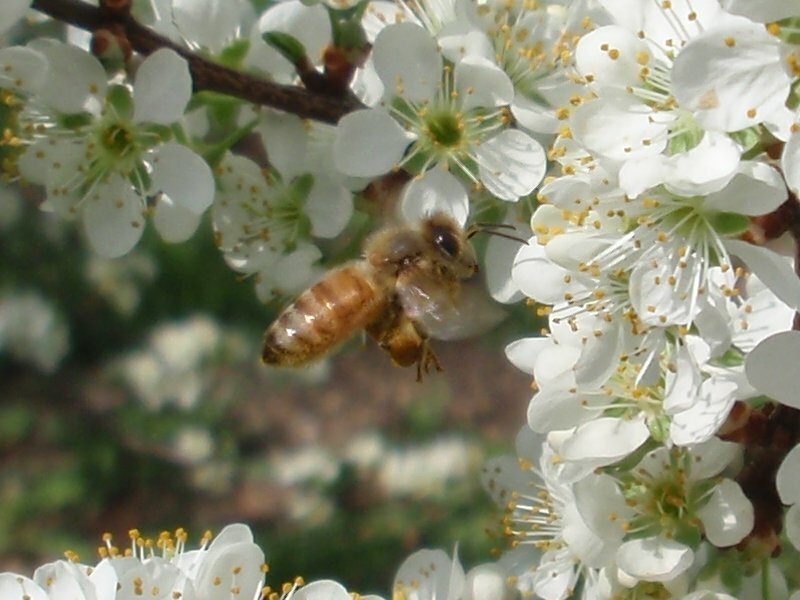 This honey bee is foraging for nectar and pollen. A native bee joins the search for food. This honey bee has been busy filling its pollen sac.